Thirty-four years in the making! Get the lowdown on Super7’s plans for the ALIEN ReAction Figure line in our “vintage style” catalog! 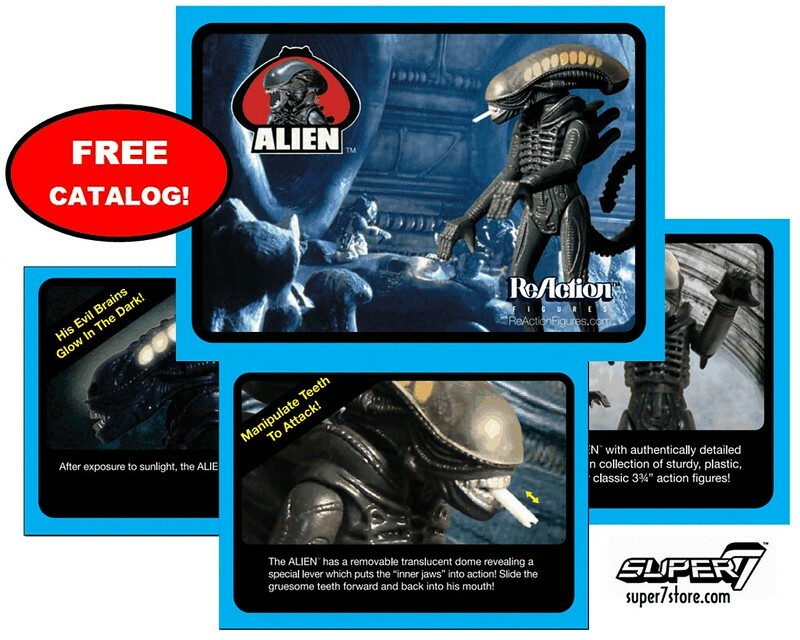 Catalogs will be included for FREE with any purchase made at www.super7store.com – quantities are limited! This offer is valid only while supplies last! Formatted exactly like the 3 3/4” space-figure booklets of yesteryear, this 12-page catalog features brand new information and photos on all five of the ALIEN ReAction Figures. Much of the catalog text and imagery is adapted from original toy packages and sales materials from the 1979 ALIEN product line, continuing the fun, retro vibe of the ReAction Figures themselves.